There are many different ways to dispose of your unwanted devices, from selling them online or donating them to charity, to recycling them or tossing them in the trash. But before you throw your device in the garbage, it’s important to know why you shouldn’t. First and foremost, improperly disposing of old devices can have very negative impacts on the environment. Many of the most common older cellphone models contain a large amount of toxic chemicals, including lead and mercury. When chemicals like these seep into the ground, it can also permeate into our water, resulting in major health risks for the surrounding community. Find the nearest e-waste drop-off locations at Call2Recycle or E-cycling Central. The other reason you shouldn’t toss your device in the trash is that it most likely still has value! Although many people think their broken or outdated phones can’t be sold or reused, more often than not, they still can. At GadgetGone, we buy back many older iPhone models in three simple steps. First, get an instant quote on our website. Next, ship us your device(s) with a pre-paid shipping label. Last, get paid! Learn more about the best place to sell iPhones, or get the full details of how it works when you sell to GadgetGone now. If you’ve got devices that are going unused, GadgetGone makes selling your old iPhones simple and quick. Follow the steps below to get your obligation-free, instant quote. First, fill out our simple form online. To do so, start by selecting the model type of your device(s). You’ll also see options to select your carrier, the amount of storage available on your device, the amount of devices you’d like to sell and the condition they are currently in. Once you’ve completed the form, your GagdetGone offer will auto-populate on your screen, giving you an instant idea of the amount you could receive back. From there, if you decide that our quote is a fair price, you are then ready to mail in your device. We’ll provide you with a free, pre-paid shipping label that you’ll print out and put on the box you plan on using for sending. Once everything has been shipped and we receive your package, we’ll review your device and ensure it matches the description you provided when we generated your free quote. From there, you can choose between a mailed check, eCheck or PayPal payment to receive. Once you choose, we’ll deliver! For details, visit our How It Works page now. GadgetGone accepts devices in any condition (yes, you can even sell your cracked iPhone! ), with any storage amount, in any quantity, and with any carrier (although pricing will vary based on these factors). So whether you’ve got a broken iPhone 4 with a cracked screen, or a case of like-new iPhone 8 Pluses you’ve used for work and are ready to trade in for cash, we’ve got your back. To get started with selling a device, see how it works now. Wondering how much you can sell your iPhone 6 for? Whether you want to upgrade your iPhone or get rid of old models tucked away in your junk drawer, the question people often have is this: is it worth anything? Depending on the model, your carrier and the memory capacity of your iPhone, it could be worth​ hundreds of dollars​. So how can you find out what trade-in value to expect for your particular device? 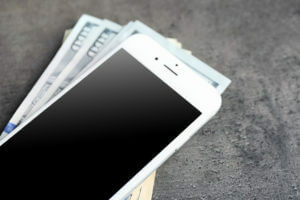 There are several options for trading in your iPhone for money, so it’s recommended to do a bit of research to see how much you should expect back for your old iPhone. One great place for testing your old iPhone value is on the Apple website. In April 2018, Apple launched Apple GiveBack, a trade-in program to encourage those with old devices of all kinds—smartphone, tablet, computer, watch, iPod—to help save the planet. With this program, anyone can head to the ​GiveBack page​ and get an estimated value of their used iPhone, according to Apple. This tool is a great way to plug in the current status of your device and see how much it’s worth. The catch, however, is that the trade-in value will be sent to you on an Apple gift card, not cash. Another resource for finding how much you should expect back for your old iPhone is through your phone carrier. Carriers often have value calculators that can estimate the current value of your particular device, ​like this one by AT&T​. Here, you can select a popular device, search by category or search by model name. By recycling your device with your carrier, you can get credit toward new phone cases, fun accessories, devices or even your monthly phone bill! If you’re looking to sell your iPhone 6, iPhone 6 Plus, iPhone 6s or iPhone 6s Plus, Tom’s Guide put together this chart​ showing the trade-in values for selling to Amazon, Best Buy, GameStop, Gazelle and Walmart. It’s even organized by memory capacity and carrier. With any of these sites, the acceptance and trade-in value depends on the condition of the device. And with some of these places, they may refuse your device due to certain parts being damaged. With GadgetGone, we’ll accept devices in any condition, memory capacity, quantity and carrier. Of course, the value will be vary based on the functionality of the device. Want to get an easy quote for selling your iPhone? Simply ​choose your device here​ to get started. 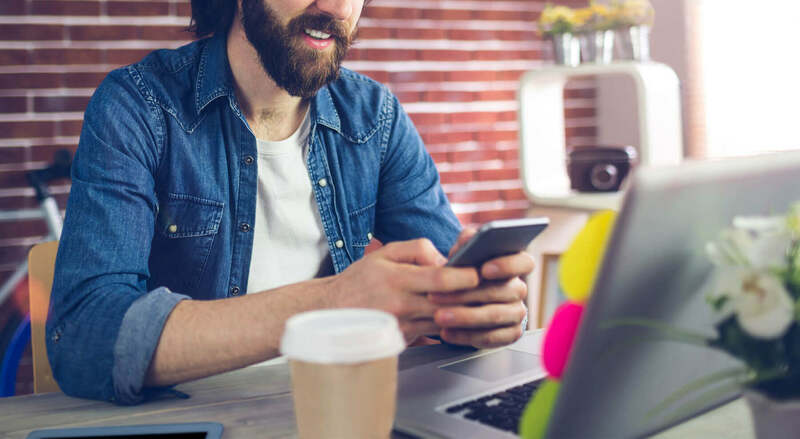 To ensure your device is ready to sell, you’ll want to ensure your contacts, calendar events, photos, apps and any other personal information has been backed up. To do this, you’ll need to make sure your information is properly synced with your ​iCloud account. information. Here is more information from Apple about ​restoring your iPhone to factory settings​. Unlocking your iPhone makes it to where it’s no longer tethered to a specific service provider, which can increase its resale value. If you’re interested in doing this there’s a few steps you’ll need to follow.​ If your iPhone meets the eligibility requirements for your carrier, the next step is to request that the iPhone be unlocked from your network. As with the eligibility requirements, this process varies from company to company. Learn more about how to unlock your iPhone by reading our blog: ​How to Unlock Your iPhone: The Ultimate Guide​. GadgetGone was founded on one simple principle: efficiency. Our goal is to make the process of selling your iPhone fast, easy and profitable. We help make the best use of your time and money by offering a streamlined process that turns your iPhone into cash in as little as 2 days.